Of all these edible seeds, sunflower seeds have come out to be beneficial due to their nutritional value. The seeds are claimed to have essential fatty acids, vitamins and minerals that are vital for the body and hence it is imperative to add these variants in some form or the other in our daily diet. Munching on edible seeds has long been touted as important; thanks to the various health benefits they provide. Of all these edible seeds, sunflower seeds have come out to be beneficial due to their nutritional value. 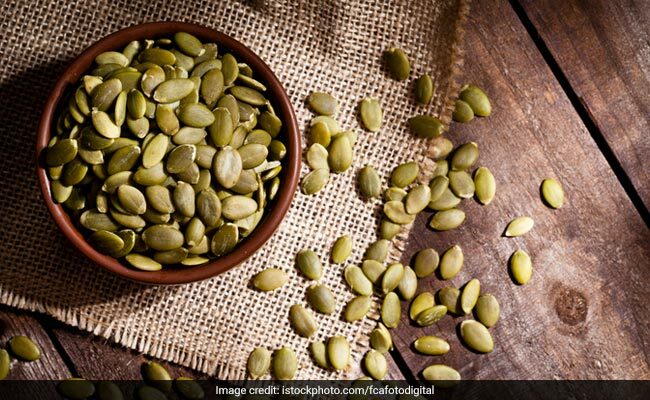 The seeds are claimed to have essential fatty acids, vitamins and minerals that are vital for the body and hence it is imperative to add these variants in some form or the other in our daily diet. These sweet and nutty sunflower seeds are increasingly gaining popularity as snacks as they are super filling. Sunflower seeds are plucked from the center of the sunflower that turns throughout the day to follow the course of the sun. You can add sunflower seeds to soft preparations that may include scrambled eggs in order to give them a crunchy texture. Roasted or salted sunflower seeds can be considered as a healthy snack. In fat, you can add them in your breakfast cereals to improve their nutritive value. Sunflower powder or flour can be added in cakes, muffins and bread batters. This will improve the nutritive value significantly. Add sunflower seeds to any main course dish such as chicken curry or mixed vegetables or can be easily sprinkled over healthy salads and pastas to add that extra flavor and nutrients. You can also make sunflower seed butter by mixing three ingredients like sunflower seeds, sea salt and sugar. To make it extra creamy, you may add sunflower oil in it. So you can use to apply on breads, in smoothies and homemade sauces. You can add them in your homemade chutneys too.